Just over five weeks to go and I am finally feeling festive. We're enjoying a relaxing weekend at home this weekend before the craziness of Christmas really starts. Can you believe we're off to our first panto next week? 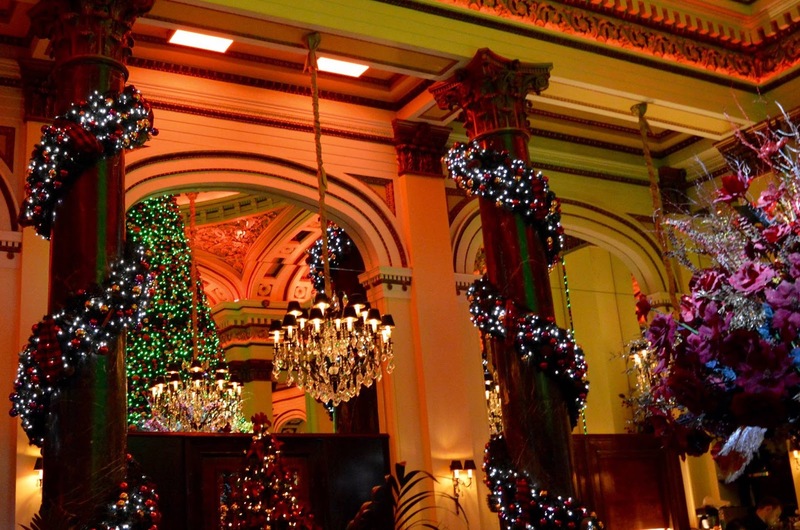 It's my birthday weekend in a couple of weeks time and I have lots of fun stuff planned including a Christmas dinner at Artisan and festive afternoon tea at Spanish City. Most of my festive outings tend to revolve around food these days. This week, a main topic of conversation amongst my friends and I has been Christmas overwhelm and the mental load. Now this could happen with men too and I'm not saying it doesn't but in my experience (based on my own and my friends' circumstances), it's something that us mothers feel the most so I'll be writing this from a female perspective. I feel completely overwhelmed by everything at some point (actually multiple points) in the run-up to every Christmas and it's honestly crippling. I'm not somebody who ever aspires for perfection or to have 'a perfect Christmas' but every year, the burden of being in charge of it all is a little hard to bear. There is just SO much to do at this time of year and it tends to fall on the primary carer's shoulders to organise it all. Our school diary is CRAZY and it's even worse now I have children at different schools and in different key stages. 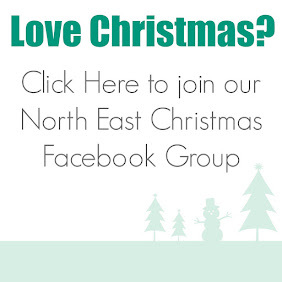 There are Christmas fairs, Christmas performances, school trips to the panto, school parties, Christmas cards, School Christmas dinners, Christmas jumper day, school concerts, carol services and more. I could go on forever. There is so much to remember and it's down to me and only me. I guarantee if I ask Steve when the kids' various Christmas shows are, he wouldn't have a clue. Then there's the whole organising of Christmas. The budgeting, the shopping, the wrapping, the planning what to buy, the decorating, the card writing, the Christmas cake baking, the food orders, the Christmas outings to book and keep track of, the shopping for winter coats, hats and gloves, the Christmas tree buying and decorating, the festive catch-ups to organise, making sure you have bought the Christmas cheese and have a ready supply of hot chocolate, shopping for advent calendars and wrapping paper......yep, you guessed it, all down to me. There is SO much going on in my head right now and I honestly feel paralysed by it at times. My friend Claire said something that really summed it all up when she said, 'Imagine going through life and just having to follow instructions on a list and that's all' and this is so true. Steve's version of Christmas-planning is basically following lists that I leave him. Whether this be a text to remind him to book time off for the kids' Christmas play or him asking what we're buying the kids for Christmas this year, he simply needs to follow instructions and doesn't get involved in the planning of it all at all. This post isn't about bashing Steve as he really is great and will help me out in any way he can (and put up with my numerous Christmas-related meltdowns) and I don't think it's fair to say us women bring it on ourselves because we don't. If we don't do it, it won't get done. It feels to me like it's just kind of ingrained in us that we're constantly thinking about it all and planning ahead whereas the men in our lives aren't. So how can we change it? I honestly don't think we can change so instead my plan is to invest in LOTS of self-care this year. I'll be spending more time than ever watching Christmas movies with hot chocolates, going for festive walks, taking lots of bubble baths and spending more time than ever with my friends so we can all talk about how we're feeling and know that we're not alone. Plus, I'm going to write even longer lists for Steve and try and try and share more of the physical load and jobs more than ever before. Let me know if you feel the same way and if you end up feeling overwhelmed by Christmas. Again, just to emphasise, this isn't designed to bash men, I know not all men are like this and in some relationships, the dynamics will be different. I am only writing from my own experiences of myself and my friends and using us as an example. I would say I'm the kind of person John Lewis wishes to target with their Christmas advertising. I buy most of our white goods from there, shop there fairly regularly (it's really not as expensive as you may think) and I love Christmas and can definitely be persuaded to spend my cold, hard cash on Christmas at John Lewis. I have absolutely loved most of the department store's previous ads. Who can forget how adorable Moz the Monster was last year, the dogs on the trampoline in 2016 ("One day I'll fly away"), the Man in the Moon in 2015 with Age UK (this one made me weep) or one of my personal favourites, Monty the Penguin in 2014 (which reminds me of my Grandma as she loved the film Happy Feet). If you fancy wasting half an hour of your life, you can watch them all again on this YouTube playlist which features all of the John Lewis Christmas adverts from the last 8 years. Anyway, there have been reports that John Lewis paid Elton John £5million for his part in this which have mostly been denied but still, I bet he was paid a pretty penny (I've researched this and apparently John Lewis spend £7 million on Christmas advertising which includes everything from TV slots and magazines to in-store and digital) but to me, it feels like one huge advert for Elton John rather than John Lewis. I get the sentiment behind it, I really do (how one thoughtful gift now can spark talent, creativity and passion and who knows where this will lead) but to me, the focus is all wrong and it's definitely promoting Elton John's upcoming biopic more than the store to me. I feel like it might have worked if John Lewis were known for selling musical instruments but they're not. Anyway, it really didn't hit the mark for me this year which is disappointing. John Lewis Christmas ads normally always connect with me and this is the first time one hasn't. I know some people do love it though so perhaps this year is just not my year. What do you think? Are you a fan? If you haven't watched it yet, simply hit play on the video above. My friend Nyomi asked over on her Instagram stories how much is normal to spend on Christmas and how much is too much as it's something she'd been disagreeing with her partner about. After I'd just worked out a budget that morning (better late than never), it really got me thinking. We've never been one to have a set budget for Christmas, it's always been a combination of what the kids need and what we can afford. Some years we've been so skint and relied on buying pre-loved toys and no main present, other years the kids have needed new bikes so we've spent a little more. I don't even spend the same on each child - this year, Harry could really do with a laptop which will cost more than the unicorn tat that Heidi has asked for. I think playing it by ear and just going with what you can afford or your family's needs at the time is a much better way of budgeting for Christmas rather than saying 'we must spend £250 on each child every year'. 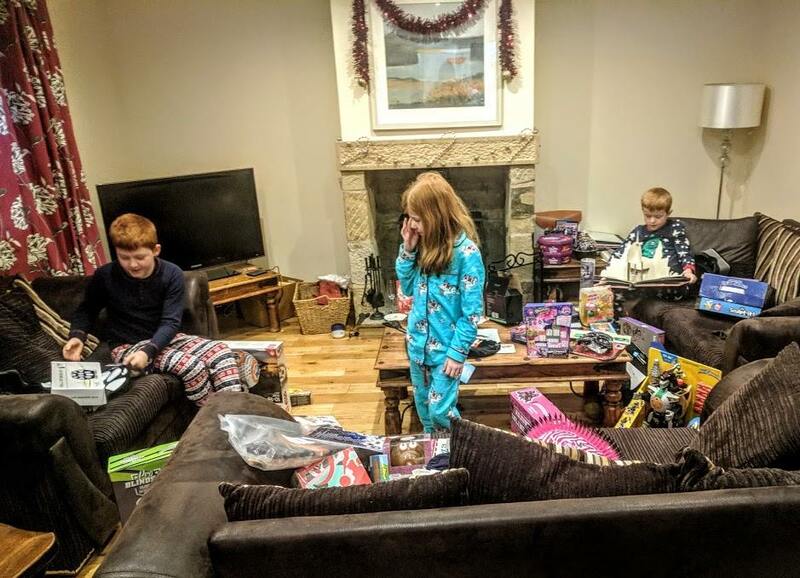 Kids don't really understand how much things cost anyway and to be brutally honest, if I wrapped 3 cardboard boxes and some new paints up for Christmas, my kids would be over the moon (I might just do this). What's your approach to budgeting for Christmas? At this time of year I am always incredibly grateful that as a blogger, we're invited to numerous panto press nights. I always remember the time when the kids were little and our school took Harry and Heidi to the Theatre Royal as a special treat. I physically wrote our school a letter that year thanking them for doing this as there's no way I could have afforded to take our whole family at that time. Going to the theatre really is something I'll never, ever take for granted. Anyway, I need your help. So every year I write multiple panto reviews and I really want them to actually be useful to families who are going to see the show. 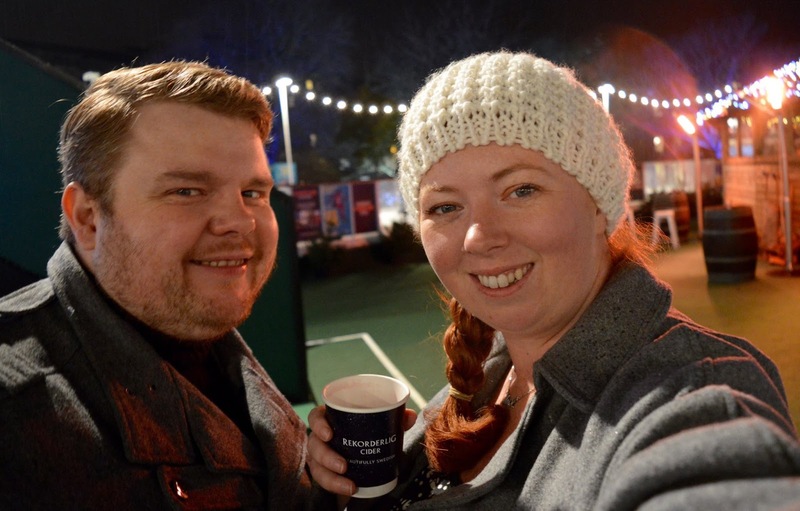 A family trip to the Panto is expensive and I'd love it if my reviews/posts could help other families get more from the experience and I'd love to hear what kind of things you like to know in a review. We have our first review booked in next weekend can you believe! We're heading to Gala Theatre in Durham for the first time so really looking forward to it. Steve and I headed into Newcastle for a little date night on Friday night and the whole city was buzzing. 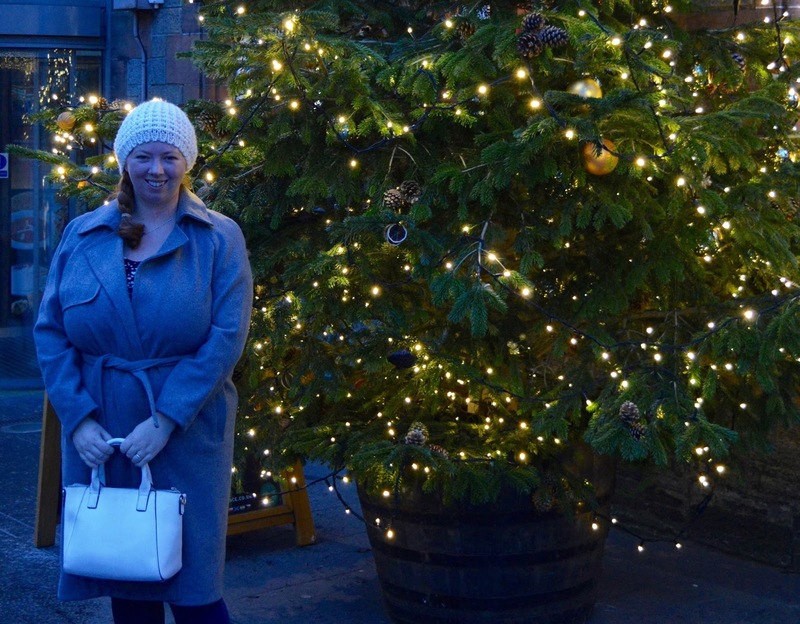 I loved seeing the Christmas lights and the NE1 Christmas Funfair is a fantastic new addition to Northumberland Street with its helter-skelter, candy cane trampolines, carousel and big wheel. Then as we turned the corner to monument the Christmas market was being set up and looks bigger and better than ever. A brass band was playing carols and it FINALLY felt like Christmas. Thank goodness! I thought the feeling was never going to arrive. 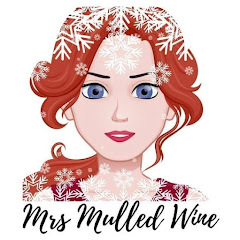 As always, if you liked this post, please follow my Christmas Mrs Mulled Wine Facebook page here. I'll be back next week with more Christmas chat. I LOVE what you said about the John Lewis advert! I only saw it this morning and didn’t really like it, it didn’t feel Christmassy to me, and now you’ve mentioned the biopic it does seem like a collaboration to advertise that... however I am feeling in the Christmas spirit this morning, I’m getting excited!!! Yes - I just don't get a Christmas vibe at all! Also - why didn't they use 'Step into Christmas' as the main song?? Totally agree. Too indulgent. Hi think even if they had flipped the timeline starting with opening the gift it would have been better and at least felt a little Christmasy. But by the time it got to the opening of the piano I was done. Normally love the JL ads but there failed this year. As you know I feel the mental load and the stress hard too and it’s so hard trying to achieve more equality here. What your friend says about the lists is so right and really hit a nerve with me! Thanks for linking too! OMG my Mum gets SO stressed about Christmas every year, even though we're now all grownups! She's been nagging us all for WEEKS about what we want for Christmas .. now it's only Simon left to submit his list and he's getting nagged from all directions about it! My Mum literally has to get everything done by the end of November just so she can ease off the pressure a bit! I seem to have gone into full on cleaning mode, I've spent most of this weekend clearing out every cupboard in the house which, although perhaps a little OTT, feels so good in the run up to Christmas and it's so good to have a tidy house ahead of the big day. That's the only area I'm organised in though, I've not done much shopping at all and with Simon's birthday a few days before I have so much to do! I can't believe how festive town has suddenly got, had such a battle getting down Northumberland St in rush hour on Friday - there was a massive funfair, queues for Fenwicks, a blizzard coming down from the roof, a Christmas Market - it was impossible to move! I definitely agree with you about the John Lewis ad, I love Elton's music but the advert has gone too far! They could have got this message across without Elton ... showing every day people doing amazing inspiring jobs that were sparked back from a gift they got on Christmas Day as a kid! I personally think that seeing a kid unwrapping a toy medical kit to them then being a Dr would be far more powerful message than Elton unwrapping a piano! PS ... I don't feel Christmassy at all and I think it's cos I live with the Grinch! LOL!! SEND HELP!! !